Follow the steps below to add subscribers. For example, if you create a mailing list using volunteers@helpingHands.org, users can subscribe by sending a message to subscribe-volunteers@HelpingHands.org and remove themselves by sending a message to unsubscribe-volunteers@HelpingHands.org. This example assumes that HelpingHands.org is a local domain that is handled by Xeams. Hi, It will be also nice to setup allowed domain to subscribe. 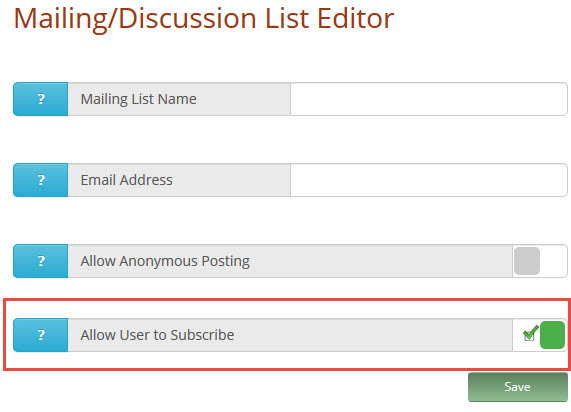 So create new distribution list and add domains from with people can subscribe.